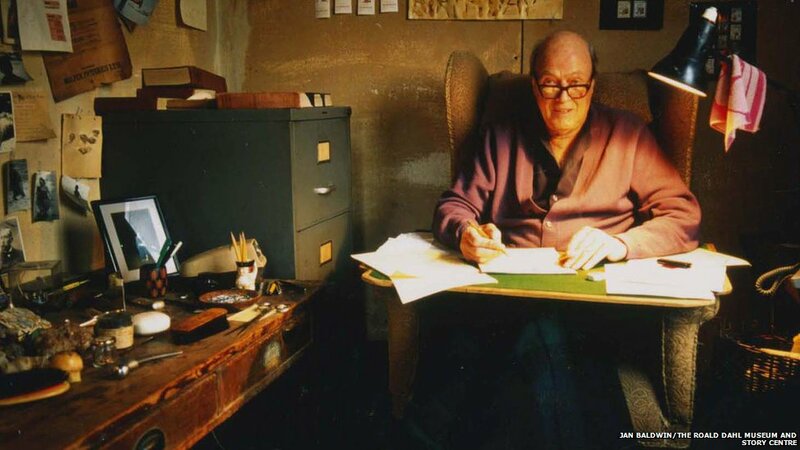 Roald Dahl in his writing hut. From the CBBC website. 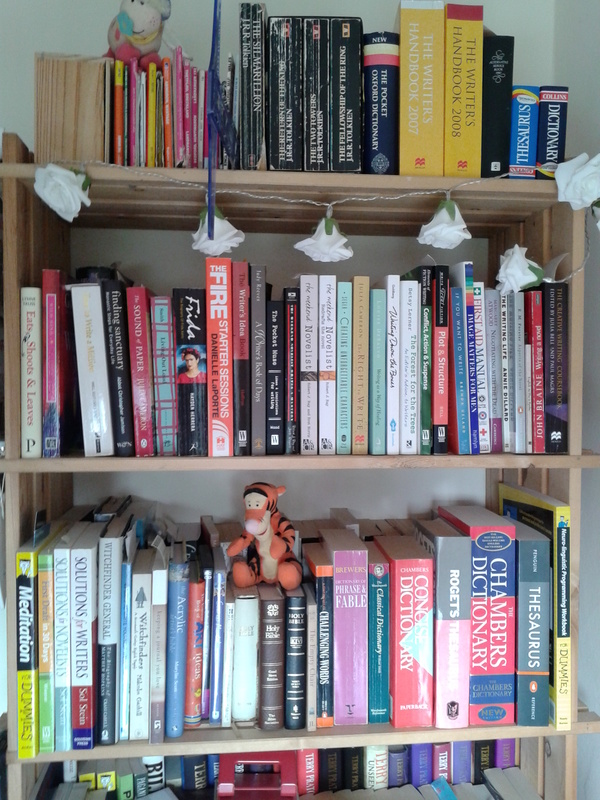 As regular readers will know, me and my study have a kinda love-hate relationship. In recent months, I’ve been trying to do it up a bit, make it a nice place for me to work, somewhere that reflects who I am and what I want. Somewhere I want to inhabit. 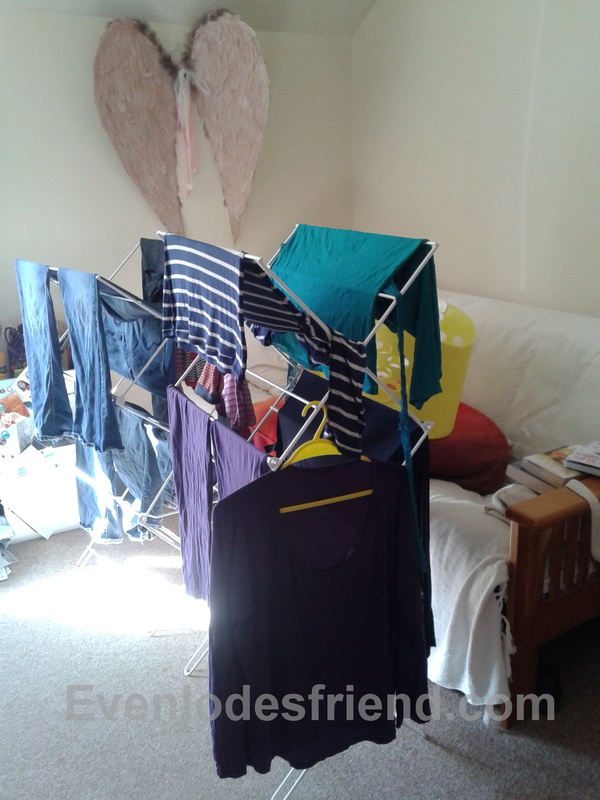 Because I really do think that it is important to have ‘A Room of One’s Own’. The problem is that it doesn’t seem to work for me in practise. I do most of my writing sitting in my comfy armchair in the living room, with my laptop in my lap (strangely enough! ), or writing in notebooks resting on a brilliant drawingboard that I bought from The Art Trading Company. And seriously peeps, this drawingboard is brilliant, and I’m going to get another one for my bedroom so I can be comfortable when I write in bed, because I also write there a lot, especially in my journal. Now, it has lately occurred to me that this habit was set in stone when I was just a little kid. 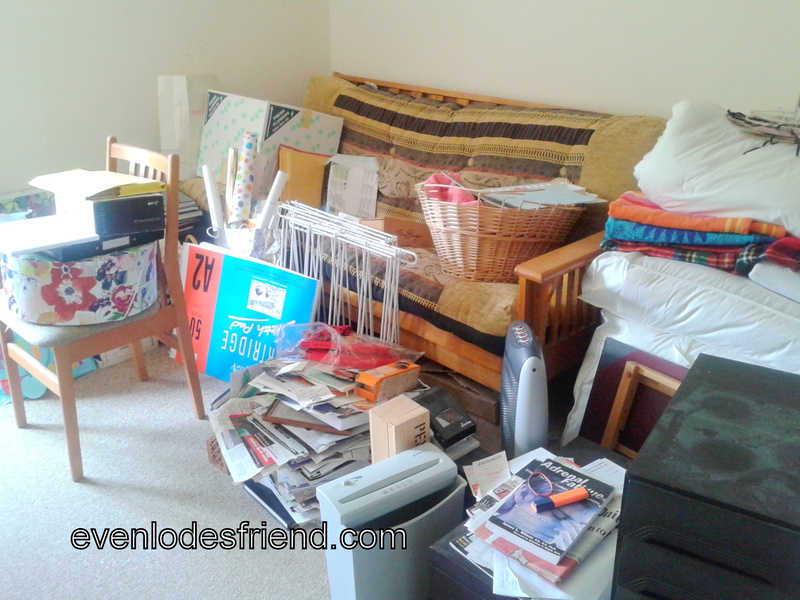 When I was small, I had a tiny bedroom only just big enough for a not-quite-full-size single bed, and certainly not large enough to include something as luxurious as a table. 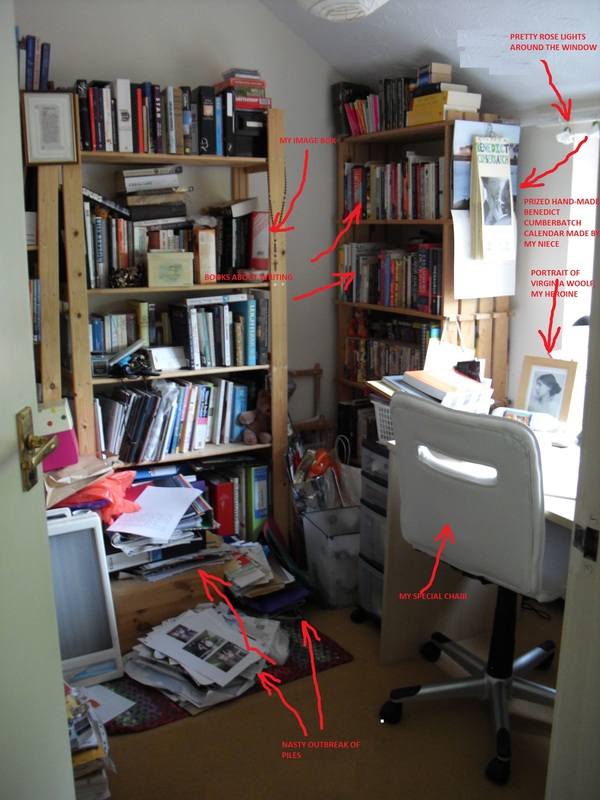 As I got older, and siblings moved out, I moved into their (larger) bedrooms, but there was never really enough room for a table or desk. Aha! But I had my trusty piece of board! Yes, I said ‘board’. It was a thin bit of old chip board, about A3 size, and I used it for hours, sitting on my bed, for drawing and writing, as a working surface for sewing and painting and plasticine and homework, as a play area, and for all kinds of other activities. That board was a miracle. I could have it on my lap when I was snuggled up amidst the sheets, and it kept the ink from getting on the cotton as well as giving me a firm surface to work on. I loved it, and I was never without it until I left home. After that, I think my mother threw it away. But who knows, it might still be in her house, under the spare bed, along with my ‘A’ level art portfolio! Nicole Kidson as Virginia Woolf inthe film ‘The Hours’. 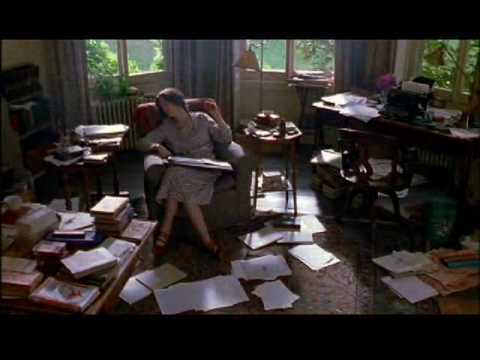 Then I remembered a scene from the film, ‘The Hours’, in which my heroine, Virginia Woolf, played by Nicole Kidman, sits in an armchair by the window at Hogarth House, with a baize-covered board on her lap, and scratches out the first few lines of ‘Mrs Dalloway’ with her new pen nib. 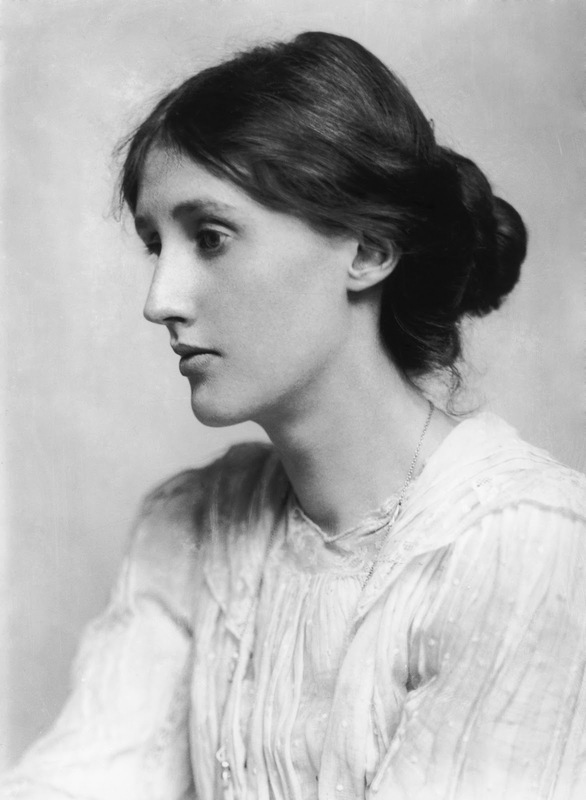 Woolf was actually more inclined to write at a high table, standing up, but the image is potent for me. 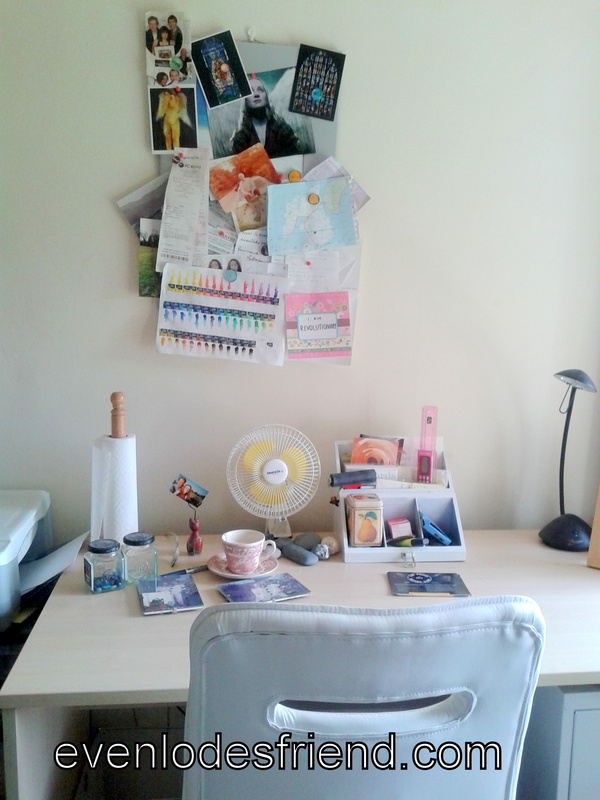 It is very nice to have a desk and a study, and sometimes, that is exactly what I need. 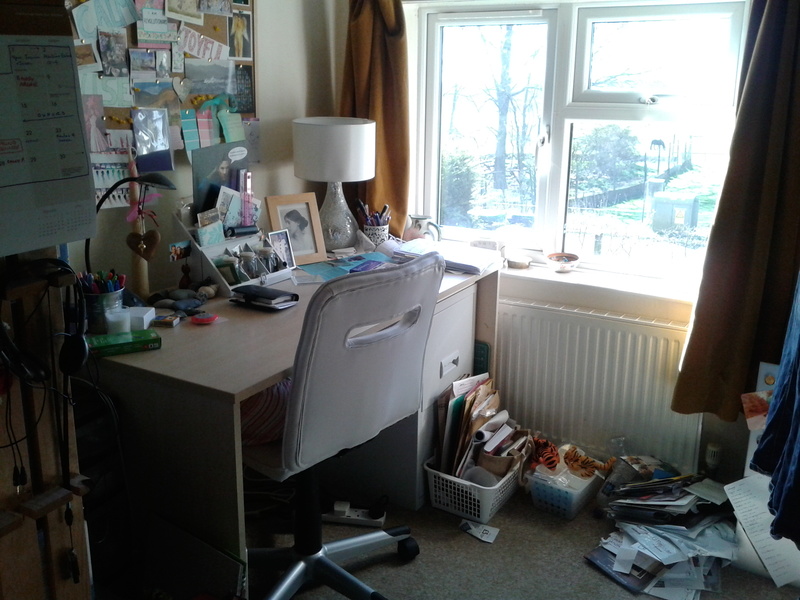 But I am also fortunate in that I spend a great deal of time having the run of the house to myself, which means that I can write pretty much anywhere I have a suitable work surface, enough light, and where I can get comfortable. 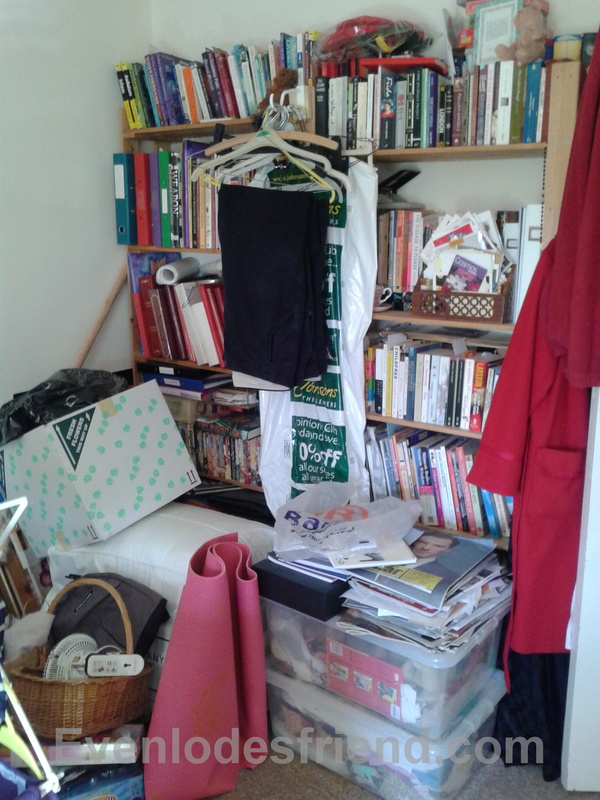 I’m not ungrateful to finally have the luxury of my own study, believe me, but having it as made me realise that really, it wasn’t necessary. I was always saying I couldn’t be a proper writer until I had a study of my own, but that just wasn’t true. I have written far more words in my armchair or my bed. The lesson I have come upon, and the one I wish to communicate to you, Dear Reader, is that actually, once you find the place that suits you, you can write anywhere. You don’t need a study. And if you have one, as I am lucky enough to, you may not end up using it. Don’t beat yourself up about not doing so. 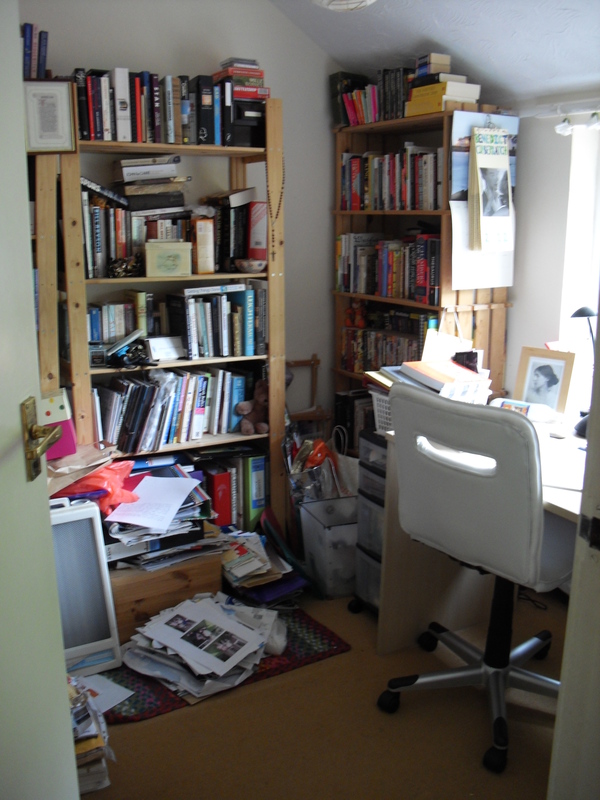 Take Woolf’s exhortation to find ‘A Room of One’s Own’ as a wider license to find space of your own. The local Costa Coffee may be your perfect place to write. Or, as for my husband, the comfy chair by the roaring fire of your favourite pub may be just the place. Or you may indeed have your own study and revel in it. The important thing is to get comfortable and have a firm surface to write or type on, so that you are not distracted. It doesn’t matter if its in a caravan or a lorry cab, so long as your imagination can take flight. Because once it flies away to your story world, it doesn’t matter where you are. This entry was posted in A Room of One's Own, core practices, Creativity, Famous Diarists, Freedom to be yourself, Inspiration, Journaling, My Study, Notebooking, Nurture Yourself, Safe Space to create, Self Reflection, Virginia Woolf, Writing and tagged A Room of One's Own, Creativity, my study, roald dahl, the hours, Virginia Woolf, where to write, Writing on 25.06.14 by evenlode1967.